Suriya will be fighting with Hollywood Actor Danny Sapani in forthcoming film Singam 2. The latest update is that Danny Sapani is dubbing for his role in the film. his own voice for his role in Singam 2 and currently the dubbing works are progressing in London under director Hari guidance. 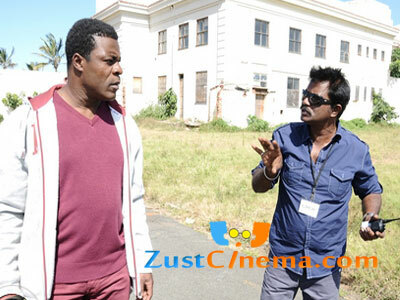 Major action scenes on Suriya and Danny Sapani were shot in South Africa. Anushka, Hansika playing female lead roles in Singam 2 while Vivek, Santhanam, Nassar et..al will be seen in supporting roles. Anjali will sizzle in an item song in the film. Devi Sri Prasad composed tunes and Hari is the director of Singam 2. Prince Pictures is producing the film. Singam 2 is slated to hit the big screens on 5th July.